According to statistics provided by the Ministry of National Defense, the number of suicides in the military decreased from 97 to 72 people from 2011 to 2012. Although “72” is the lowest figure of the last seven years, there still remain many serious problems related to inhumane conditions that occur in the military, such as physical violence resulting in the death of several soldiers, isolation of soldiers that can lead to depression and autism, and frequent attempts of suicides. 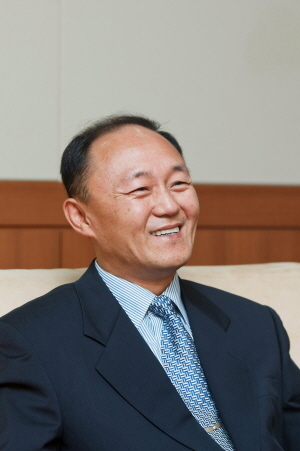 Moreover, PD Soo-cheop, one of the most respectable Korean current affair programs, twice dealt with the suspicious deaths that took place in the military. The broadcasts aired on February 8, 2011 and September 3, 2013 respectively. They both covered the suspicious cause of deaths of individual soldiers and the miserable circumstances of the bereaved families. The broadcasts revealed that human rights problems in the military are still serious issues today as they had been in the past. The Hanyang Journal decided to interview Jung Jea-yung, the representative of the Korean Military Human Rights Group, to hear about the problems that soldiers go through during their military service. 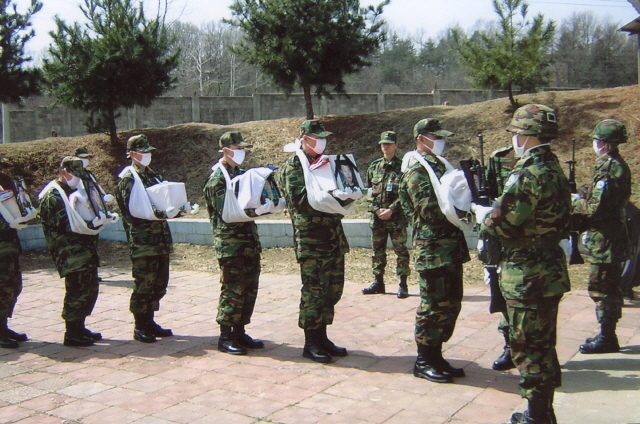 The Korean Military Human Rights Group was founded in 1997 by Jung Jea-yung. Since then, the group has been working actively to improve the system and questionable practices of the military in order to preserve the human rights of soldiers on an individual level. Since 2000, the Group began focusing on cooperating with the bereaved families of soldiers who died under suspicious circumstances. With the help from these families, the Group has carried out campaigns and demonstrations demanding that the truth be told, and that more effort be made toward the prevention of suicide attempts. Jung is also working as an Operation Committee member of the Military Plan and Defense Forum and a military-expert member of the National Human Rights Commission of Korea to put an end to the problems taking place in the military. The Hanyang Journal met with him to learn more about his work. Q. What was the main reason for establishing the K-Military Human rights Group? A. I set up the K-Military Human Rights Group hoping that it would be a way to reestablish trust between the military and civilians. I first came up with the idea when I heard about the incident involving the son of a close acquaintance of mine who had died during his military service. At the time, I did not understand the biological cause of death determined by the formal investigation carried out by the military. Therefore, I concluded that determining the accurate cause of death is important to build the credibility of the military for civilians. Q. While managing the website of the K-Military Human rights Group, you must have come across many different kinds of cases. What do you think is the biggest reason those problems are occurring? A. The reason for the problems occurring in the military can be found in the maladjustment of soldiers. This is because the military is an organization that requires the making of immediate and practical results, such as competent shooting skills. Therefore, the military cannot afford to wait for every soldier who has problems to comfortably adjust to the new environment. If a single soldier experiences difficulty in adapting, other soldiers are also blamed due to the notion of teamwork and joint responsibility. This eventually results in bullying among soldiers which is another serious problem. Q. The common view in the past of so-called “misfits” in the military are that they are individuals who have personal defects. However, these days, these misfits are slowly being recognized as victims of the military. What is your opinion on this change of perspective? A. Most tasks done in the military require simple repetition. For example, soldiers working as combat troops are trained with rifles and learn shooting skills. These are the tasks that do not require a highly complicated or professional level of knowledge or expertise. Thus, most people do not experience difficulty in adapting to this type of work. However, there is a minority of soldiers who may be slower learners and need more time than others to understand the organization and its system. It is therefore unreasonable to attribute the cause of death for something like suicide as being solely the fault of the individual, especially where discrimination, ridicule, and bullying may have been major factors. Q. What is the most serious problem concerning the violation of human rights in the military? A. One of the most serious problems is violation of the human rights of female soldiers. When tracking down the reasons or the causes of individual accidents that resulted in death that are said to be suicides by the Ministry of National Defense, you will typically find that there were serious violations of human rights in the form of physical and/or verbal abuse. Thus, serious problems regarding our female soldiers are stem from the reality that they are not sufficiently protected. The fact that female soldiers are exposed to many problems is a significant issue for various reasons; one being that they are considered to be weak in the military, but they are still bound to the conventional and legal constraints of their male counterparts. Q. Have you heard of ‘Green Camp’ or ‘Vision Camp’, which is a program designed to help soldiers adapt to the military system? A. Yes. ‘Vision Camp’ is a program that was first proposed by the K-Military Human Rights Group about 10 years ago. This program is provides collective education for soldiers who are likely to commit self-injury. Also, ‘Vision camp’ is for those who are in need of short-term mental healing, which are helping but not sufficient enough to be permanent solutions. The military therefore created ‘Green Camp’ with the idea that it would prevent the deaths that result from self-harm. However, unlike the original intent of the military, ‘Green Camp’ virtually became an illegal imprisonment facility, where the privacy of individual soldiers was recklessly invaded. Thus, the ‘Green Camp’ that is now in effect should be abandoned as soon as possible. Q. In order to put an end to the problems in the military, what kind of measures do you think are necessary? A. First of all, military officers must change their ways of thinking. They need to treat individual soldiers as thinking intelligent human beings who have equal rights as they do, even though the ranks of the soldiers are lower than those of the commanders. In addition, there is a strong need for societal reform as well. Each soldier should be considered as our sons and daughters, and they in turn should respect each other as fellow soldiers who will fight together in war. Q. As the representative of the K-Military Human Rights Group, what should be done to bring attention to the incidents taking place in the military? A. The key word of the answer is participation. Only participation can be the starting point of resolving the problem. A person who has never helped others does not know how to receive it from others. Therefore, civilians should send a message of concern to soldiers who are in difficult situations. Regardless of whether you give or take, change can only occur when real participation happens. Q. What is the long-term goal for the K-Military Human rights Group? A. Our ultimate goal is to improve the awareness of military officers’ awareness about human rights. Military officers should make efforts to prevent the abuse or neglect of human rights for lower ranking or disadvantaged soldiers, at the same time trying to build favorable relationships among individual soldiers.